Toast spices, tossing gently, until aromas have been released but before coriander and cumin seeds begin to darken. Remove from heat and allow to cool completely. Leave whole and store in glass to be ground fresh and used in recipes, or grind to a fine powder and store in glass jars or shakers. I usually like to leave about half as a solid spice mix and grind the other half. Remember when using the whole spice mix that it should be shaken before measuring, as it will likely settle and separate in the jar. 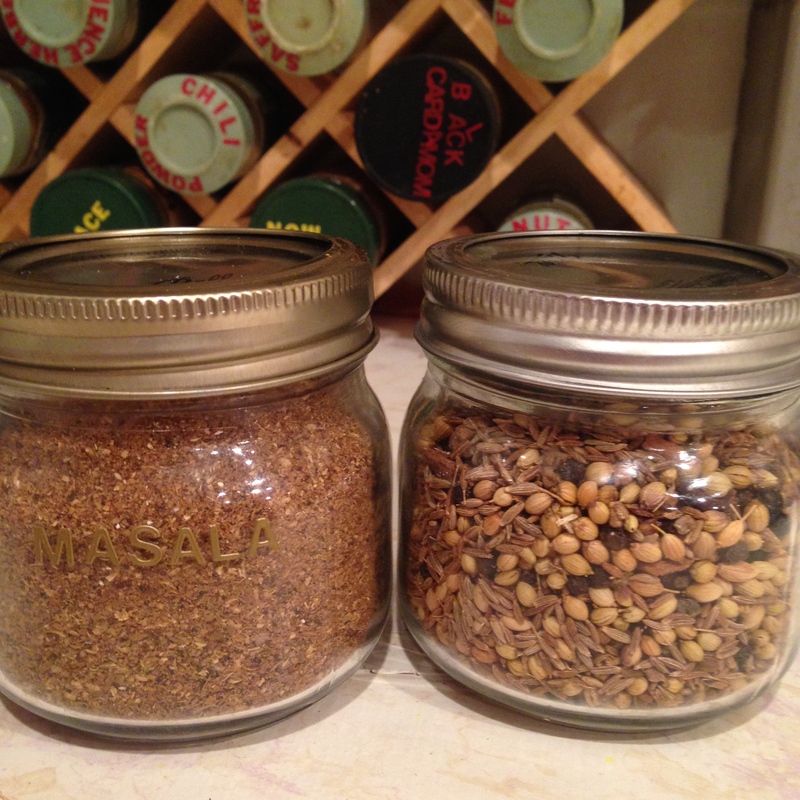 Ground masala will remain usable for at least a half of a year, the whole spice mix for a year. If spices are burned or darkened they will deteriorate more rapidly. 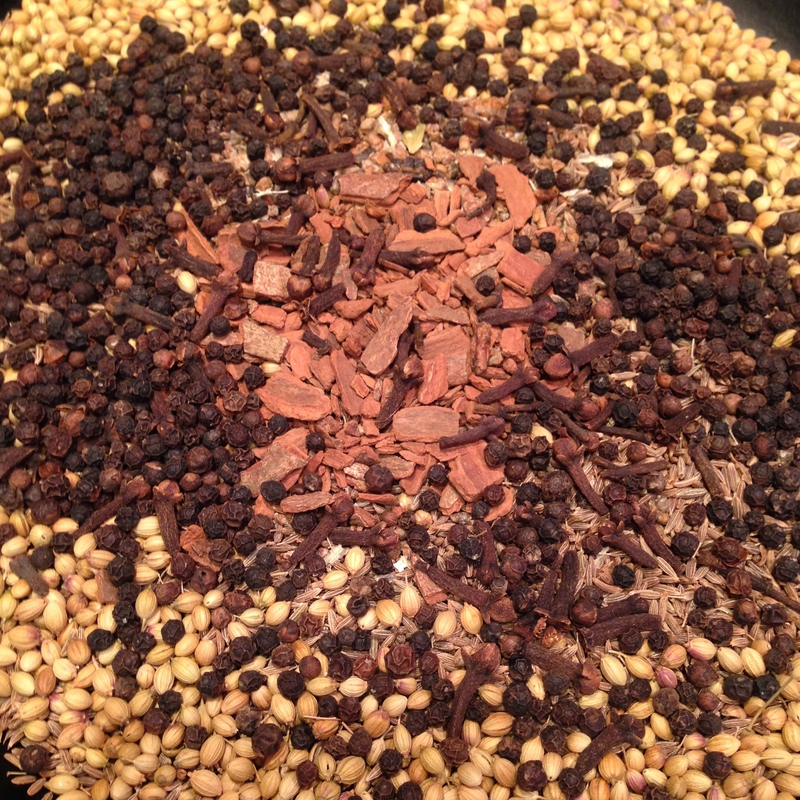 Masalas are inherently variable things, dependent on the mood of the cook and the spices available. I encourage you to come up with your own spice mixes, reflecting your own tastes and adding a touch of your own personality as a cook. This one is just a snapshot, a new masala for new times.